Professional bios for judges vary a great deal depending on the purpose of the bio. The main purpose most judge biographies is to provide information to attorneys who may be trying a case before them. Many states assemble collections of biographies for sitting judges for use law clerks, attorneys or anybody who may need the information they provide. The biographies are often based on questionnaires the judge completes. A judge may include their bio on their CV or as an introduction to authored works on law. It can also be used to introduce them as a public speaker. It establishes their credentials and experience in the field of law. Judges professional biographies tend to be more detailed than most other professional bios. At a minimum they will contain the year of their current appointment, previous judgeships, previous legal employment, the date they were admitted to the bar, the law school that granted their degree and information about their undergraduate studies. Legal organizations they are a member of are also included. The bio may also include what they expect of attorneys trying cases in their court. Works authored by the judge are sometimes included as well as any opinions they have written that established a precedent of note. Personal details vary from a couple of sentences to several paragraphs. The length of the biography for judges varies depending on where it will be used. It may consist of anywhere from a few paragraphs to several pages. It is written in the third person using a narrative style. Paragraphs should be brief to make them easy to scan. Biographies should be concise and use easy to understand language. When possible avoid legal jargon in the biography. The professional biography of a judge must be free of grammatical errors and spelling mistakes. Biography is written in chronological order beginning with when they became interested in law, progressing through their academic career, passing the bar, employment in the legal field up to their appointment as judge. It may end with membership in legal organizations and some personal details. It can take a great deal of time and effort to write a professional biography. 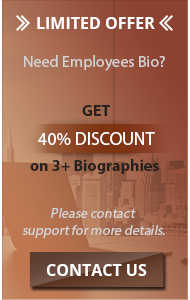 If you are unsure how to create your bio or just lack the necessary time our service can write the bio for you. 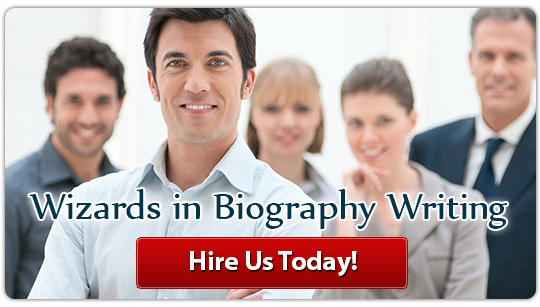 We provide any type of biography including judges and police officer biography. Contact us for a well written judge’s biography that makes the impression you want!